The Metropolitan cast brass base, Art Deco style Tiffany table lamp, from our collection of hand crafted Art Deco Tiffany lighting by Interiors 1900. Stunning medium sized Tiffany table lamp in the true Art Deco style. The table lamp has an elegant rubbed bronze finish cast brass column base, with a handmade 420mm Tiffany shade. 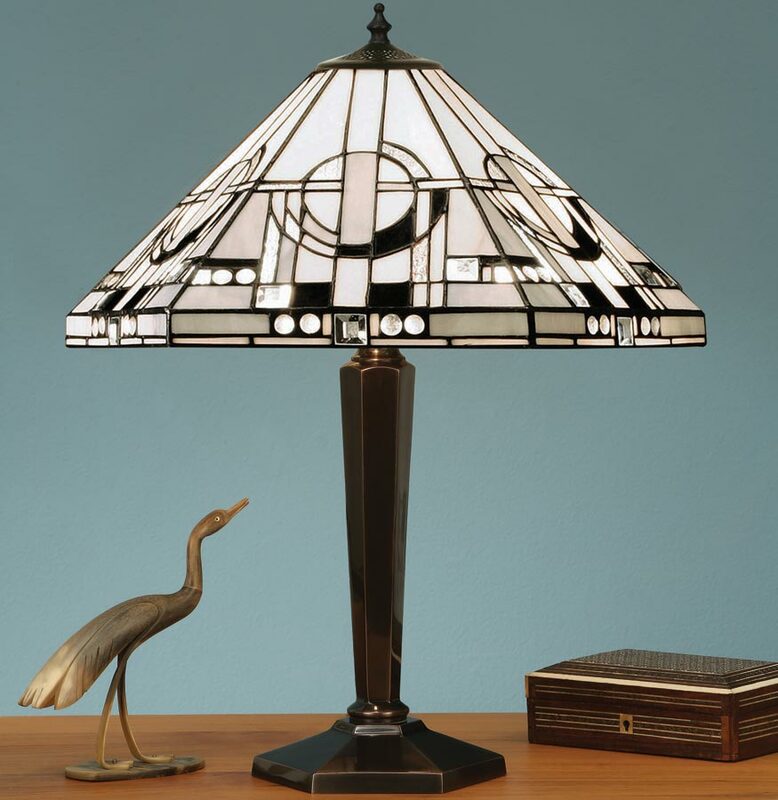 The shade has black and white Tiffany glass panels and a circular inset motif finished with clear glass bead edge to create an authentic Art Deco style. Fitted with an inline switch for convenience.